Casumo Casino - Get a £50 Casino Bonus and more when you sign up! Casumo is a very colourful and fun casino that has been successful since they started 2012. In only a few years they have become one of the most popular names in the online casino world. And perhaps is it because of the playfulness in their site and attitude. The company themselves says that the reason they exist is to “erase boredom” and those word actually describe the site very well. It never gets boring when you play at Casumo Casino since the atmosphere there is so cheerful. The casino is available in five different languages which makes players from all around world unite in happiness. The special thing about this casino is that it is not only a casino, you also take part of an adventure. When you become a member a little Casumo is born, that is your character. Every time you play you will collect points that can take you to another level or planet in the adventure. When you get to a new level you also can get rewarded with extra spins or free money. Of course depending on how much time and energy you spend on the site. The more time you spend the more you get rewarded. If you like adventures you most certainly should try this! Casumo actually has a lot of deals; the first one only requires becoming a member. When you sign up to the casino you are immediately given 20 extra spins – no deposit needed. The extra spins are valid on NetEnt’s popular slot Starburst, and comes with a 30x wagering requirement. Casumo knows that bonuses is one of the players favourite things, they have therefore made a bonus package for the new members. Except for the 20 extra spins you get when signing up, you will also get a bonus when you make your first deposit. The bonus is a 100% bonus up to £300. This means that if you deposit £300 on your first deposit, you’ll get a total of £600 to play for! All deposit bonus amounts must be wagered 30 times before withdrawal. Winnings from any extra spins must be wagered 30 times. The smallest possible deposit is £10. The maximum amount of bonus is £300. Not all games contribute equally to the wagering requirement. All deposit bonuses are on opt-in basis. For participation details refer to Casumo’s Bonus T&Cs. 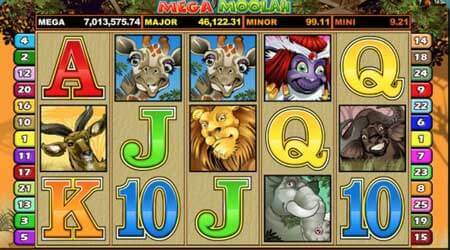 The main games on the site are the huge amount of slot machines available. When we say a lot we don’t lay, there are over 300 different slot machines on the site. You can find both classic ones and more modern variants of the machine. If you’re not quite sure what you like you can always get some help from the top lists. There are three different lists with three games each. The first one is popular games, the one with games that the other members play a lot. The second one is new games which is the newest games on the site. The last list is Casumo loves, which is a list with games that the casino themselves recommend. But of course, if none of them suits you, you still have over three hundred more slots to try out. On the site you can try out most of the games for free. In that way you can try and see if you like it before you spend anything, regardless if it is money or extra spins. A thing that makes the slot machines at Casumo so popular is that some of them have a progressive jackpot that can grow to very high numbers. If jackpot is something you like, perhaps you should try out Hall of Gods or Mega Fortune at their site. The games and casinos are available on both MAC and PC computers which you can think is the most common way to play online since that’s how it all started. But with the rapidly growing technology you can also reach the casino on both mobile and tablet devices, in that way you can play anywhere you want. The only thing you need is internet and a smartphone or a tablet. It works on iPhone and android and you don’t have to download any anything. Are you already a member you only have to start a browser in your smartphone or tablet and go to the website, log in and start playing. Otherwise, become a member and join the fun! The support from Casumo is multilingual and is available in five languages; Swedish, English, German, Finnish and Norwegian. When casinos offer support in many languages you can tell that they are a bit more serious and concerned about their costumers, which is a great thing about Casumo. If you have a problem or want to ask something, there is a live chat with the support accessible. The chat is easy to use and they answer quickly, but you can also read their FAQ with the most commonly asked questions first if you want to. The FAQ is easy to understand and has a lot of questions with a lot of different categories. It is definitely a positive thing that they have put a lot of effort on that guide, because that might make you find your question and answer fast, without even having to contact the company. That way both you and the company saves time, which you can spend having fun instead. When it comes to the deposit and withdrawals you can use either a credit card from master card or visa, or you can use one the online payments solutions; skrill, neteller or paysafecard. All of the payments solutions that above is safe and you can use them without feeling insecure. 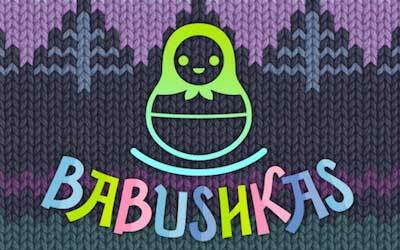 Babushkas - new slot from Thunderkick! Football abstinence? Play this slot! 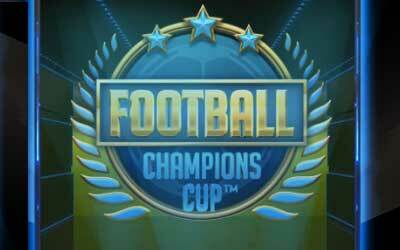 Football Champions Cup is the perfect slot if you have football abstinence while waiting for the final in the European Championship! Except for all the slot machines, jackpots and the adventure, Casumo also offers a few table games live. Live casino has grown to be very popular and here you can play, live roulette, live black jack, live baccarat, live Texas Hold’em, live three hand poker and a game which is both live roulette and black jack in one. It works that way that you get a place by a table and through a webcam you can see your dealer. The dealer speaks to you and makes you feel that you are actually sitting to the real table. Most of live casinos are currently sending their live shows from Malta, and since Casumo is located at Malta it isn’t a huge surprise that they also offer this product. The dealers are also accessible in different languages, which mean that you can get a dealer that speaks the same language as yourself. That definitely increases the feeling and experience of a real casino. If you thought Casumo didn’t offer anything else than what’s already been said you thought wrong. They also have a few games under a category called other games, which include a few different card games, keno and some lottery tickets. Among the card games you will find; all American, jacks or better, deuces wild and joker wild. The game Keno is a bingo game and has a progressive jackpot. It works that way that you get a board with 80 numbers on it, and you choose which 10 numbers you believe will win. The game automatic picks 20 numbers on the board and what you win depends on how many of your numbers that were right. The lottery tickets isn’t that much of a difference than the real ones, you simply scratch and need to get three of the same number to win. What you win is of course the amount that you got three of. All the table games are also available both regular and live so you can choose what suits you best. Maybe you prefer to play live; maybe you should try them both and decide after! Since the company works from and have their headquarters at Malta, they are also approved to continuing their work by the Malta Gaming Authority. Malta is known for having one of the most serious forms of licensed games in the world. The license confirms that the company follows laws and regulations, and also that you as a player is safe while playing. What makes this casino feel even safer is that they don’t have one, but two licenses. Casumo has got their second license approved by the AGCC, Alderney Gambling Control Commission. Since Casumo has a European gaming license it also means that all winnings are tax free as long as you play within the EU.